A rubber matting with a low relief diamond pattern design on one side and a cloth impression on the reverse. 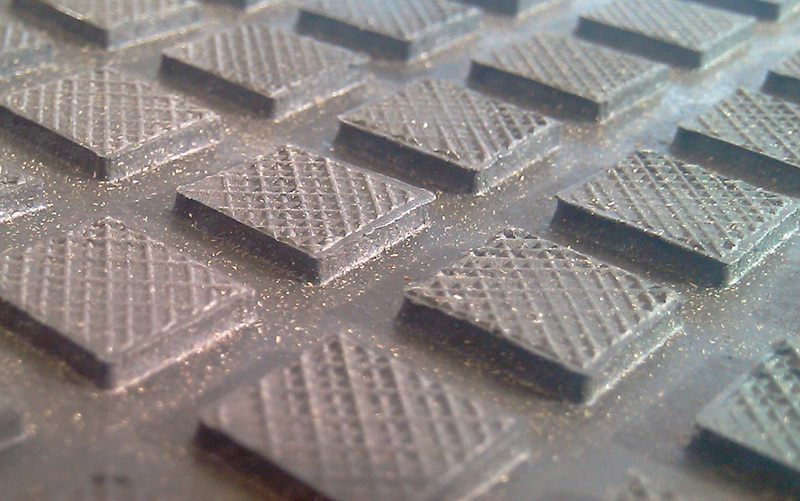 Ideally situated for walkways, access platforms and general purpose individual applications where a multi directional tread pattern is required. Can be manufactured in a variety of polymers to suit varying applications and to meet specific standards.Can be produced in varying width, width, length & colour formats to customer requirements. To suit customers’ requirements from 3mm up to & including 10mm. To suit customers’ requirements up to 10 meters long and 1.2 meters wide. click either image for a larger detailed version.